The webinar will be presented by Dr Pete Thompson, Assistant Director at the NIHR Trainees Coordinating Centre and HEE/NIHR Senior Clinical Research Fellow Kirsty Winkley, Specialist Diabetes Nurse. If you have any issues when registering please email tcc@nihr.ac.uk. Don’t forget, your local branch of the NIHR Research Design Service is based within the BU Clinical Research Unit (BUCRU) on the 5th floor of Royal London House. Feel free to pop in and see us, call us on 61939 or send us an email. 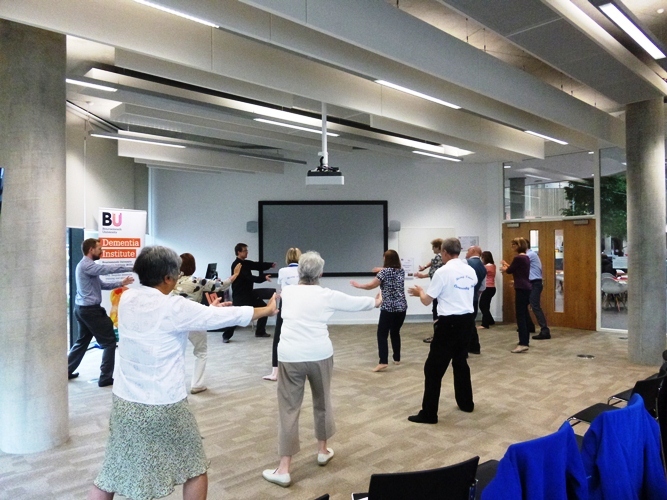 NIHR-funded TACIT Trial: TAi ChI for people with demenTia. Since the beginning of 2016, Dr Samuel Nyman (Psychology Department, and Bournemouth University Dementia Institute) has been funded 100% of his time for 3 years by the NIHR on a Career Development Fellowship. Part of the fellowship is to conduct a research project: “The TACIT Trial TAi ChI for people with demenTia”. 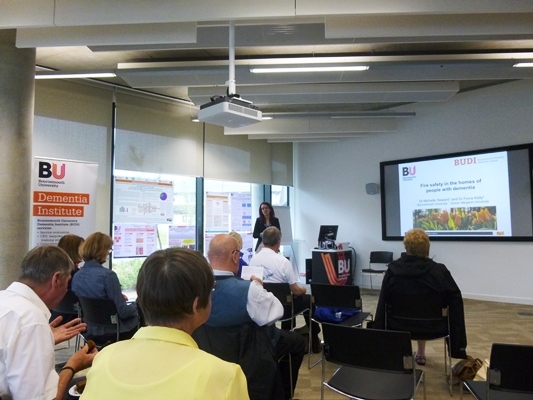 The first external presentation about this project was on the 11th November 2015 as part of an ESRC-funded seminar series, Physical activity among hard-to-reach groups: Issues of research, policy and practice. 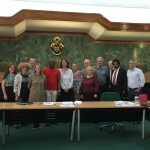 That presentation was noticed by Haringey Council who have charged a scrutiny panel with the task of reviewing their strategy for increasing physical activity among older people in their borough. 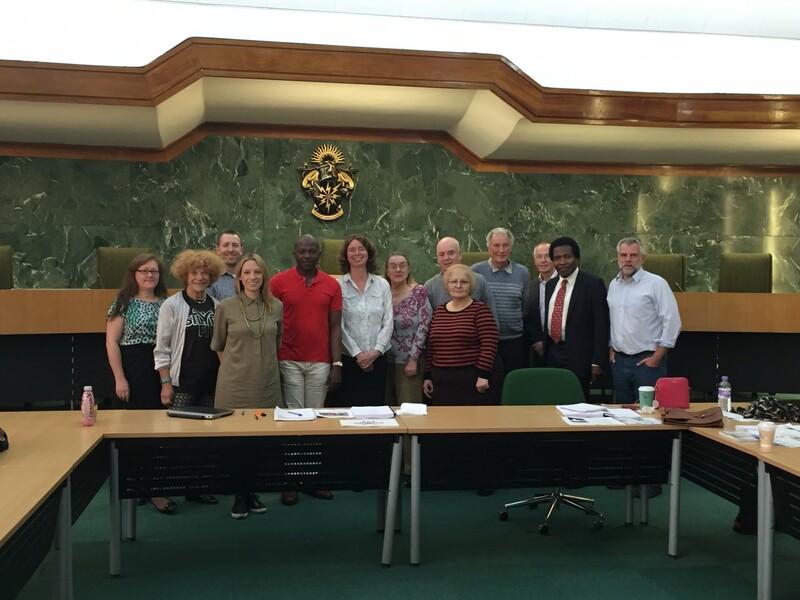 As part of this review, last week on the 13th October, Haringey Council invited Samuel, along with other colleagues from across charitable / higher education / private sectors, to present about the project. The project was met with much interest and contributed to a roundtable discussion on how to implement the current evidence-base into practice. 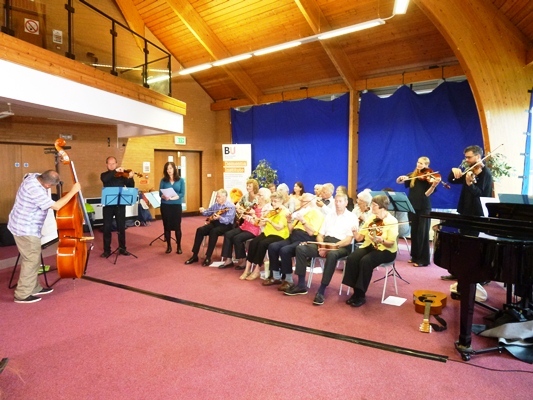 The project is starting to recruit into its Pilot Intervention Phase, and will recruit into the randomised controlled trial phase in the spring of 2017. The trial results will be available in the autumn of 2018 before Samuel finishes his fellowship in December 2018. 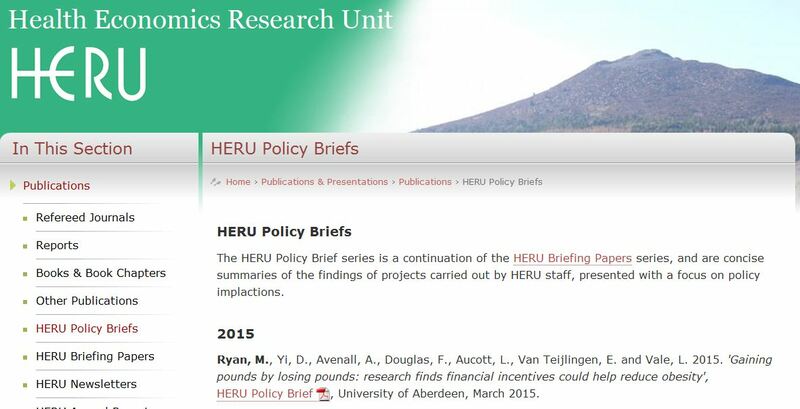 Today my colleagues at the University of Aberdeen’s Health Economics Research Unit (HERU) published their latest HERU Policy Brief on ‘Gaining pounds by losing pounds: research finds financial incentives could help reduce obesity’. The policy brief is now available on line. These policy briefs are concise summaries of the findings of research projects, presented with a focus on policy implications. Linking research findings to possible policy improvements increase the chance that our research has an impact on the wider society. Furthermore, that our research has an impact in REF terms. This latest policy brie f ‘Gaining pounds by losing pounds: research finds financial incentives could help reduce obesity’ is part of a larger project called PROGRESS (Prevent Obesity GRowing Economic Synthesis Study), funded by the National Preventative Research Initiative (NPRI) and the Universities of Aberdeen and Melbourne. The project started when I was still at the University of Aberdeen, before I came down to Bournemouth more than five years ago now. 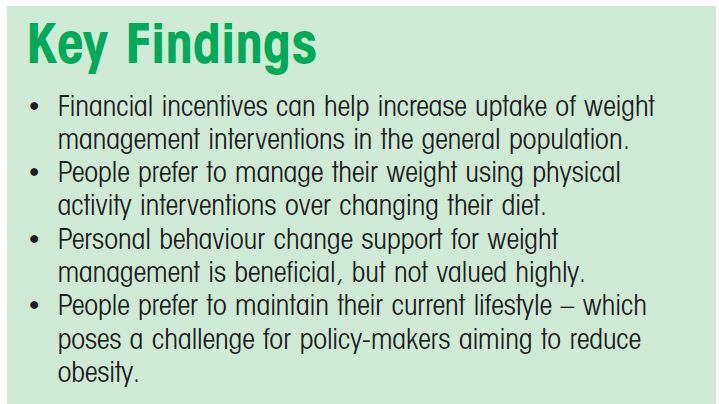 Our research highlights that despite evidence that dietary interventions are the most effective way to lose weight, respondents preferred lifestyle interventions involving physical activity. Also that behaviour-change support improves effectiveness of interventions, but its value to participants was limited. A general preference to maintain current lifestyles, together with the sensitivity of take-up to financial costs, suggests financial incentives could be used to help maximise up-take of healthy lifestyle interventions. Finally, men required more compensation to take up healthier lifestyles. Full details on methods and results are available in the health economics paper due to be published later this year, currently ‘published ahead of print’ (Ryan et al. 2014). Ryan, M., Yi, D., Avenell, A., Douglas, F., Aucott, L., van Teijlingen, E. & Vale, L. (2014) Gaining pounds by losing pounds: preferences for lifestyle interventions to reduce obesity, Health Economics, Policy & Law, [Epub ahead of print] doi: 10.1017/s1744133114000413. High quality research from a collaboration of three UK universities has been turned into practical advice. 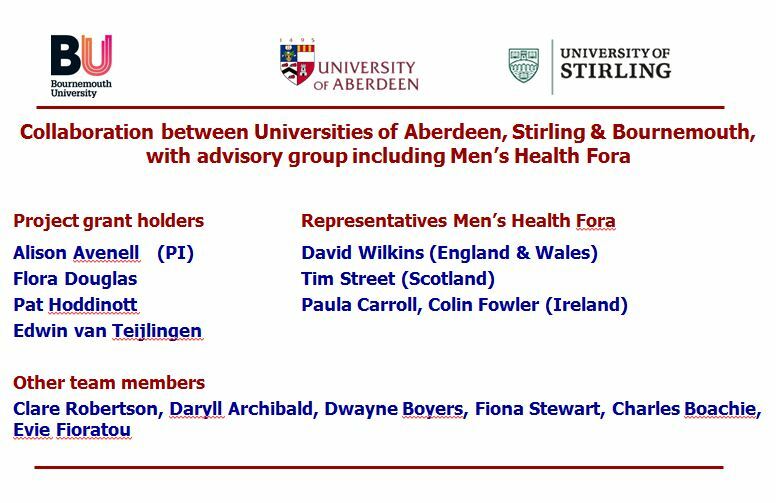 The ROMEO project (Review Of Men and Obesity) by the University of Aberdeen, the University of Stirling and Bournemouth University found that men are more likely than women to benefit if physical activity is part of a weight-loss programme. Also although fewer men joined weight-loss programmes, once recruited they were less likely to drop out than women. 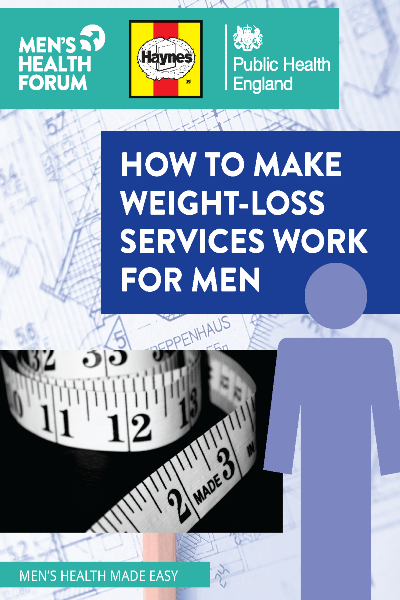 The perception of having a health problem, the impact of weight loss on health problems, and the desire to improve personal appearance without looking too thin were motivators for weight loss amongst men. However, the type of reducing diet did not appear to affect long-term weight loss. Programmes that include exercise and behaviour change components as well as dieting are more successful in helping men to lose weight. Men respond well to programmes that have a higher degree of personalisation, such as setting individual goals, as it increases their sense of control. Weight-loss programmes based in the workplace or associated with professional sports clubs have been particularly successful. Using humour and encouraging camaraderie makes programmes more attractive to men as does knowing that there will be other men there. Furthermore, this ‘How to’ guide includes, amongst other advice, a list of Ten Top Tips. This is an excellent example how research conducted between three different universities has been turned into easy to understand advice for man who are overweight. The past decade or so has seen an increasing interest in making academic research ‘useful’ to society. Creating and measuring the impact of research conducted at universities has been introduced as key element on the REF, the Research Excellence Framework. The REF assesses the quality of research in, and affects the amount of government money each university in the UK receives. For a traditional academic publishing the HTA report would be a success in itself. Which, of course, it is to culmination of a large-scale and extensive review, well conducted, published through Open Access, which also attracted considerable media attention from across the globe when it came out. However, ROMEO did not stop there. Due to the involvement of the Men’s Health Fora right from the start of ROMEO, the Men’s Health Forum in England linked up with Public Health England to create and publish ‘How to make weight-loss services work for men’ guide is published today. 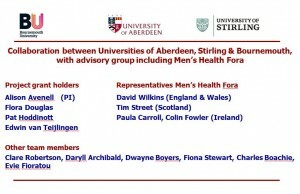 The ROMEO project, led by Prof. Alison Avenell (University of Aberdeen), examined the evidence for managing obesity in men and investigated how to engage men with obesity services. The evidence came from trials, interviews with men, reports of studies from the UK, and economic studies. ROMEO was funded by the National Institute for Health Research, Health Technology Assessment Programme (NIHR HTA Project 09/127/01). Our full report is Open Access and can be freely downloaded here. We would like to bring to your attention that the NIHR Public Health Research Funding Board is currently recruiting new members. The deadline for applications is 1pm, 17 November 2014. 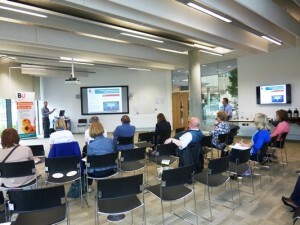 Thank you very much for all of you who attended today’s presentation of the joint project between the University of Aberdeen, Bournemouth University and the University of Stirling. For those who missed the session or who asked for a copy of the slides after the session, please find these included in the BU Research Blog. Centre for Midwifery, Maternal and Perinatal Health. Applying to the NIHR Info Day – register now! The NIHR funds NHS related research (including the social sciences and humanities aspect of care) and issued over £200k of grants last year. The info day being held on April 11th will provide an overview of the NIHR and give grant writing tips as well as having experts on hands to give you more specific info. This is a free event with limited places so you must register here. The EME programme’s researcher-led workstream is an ongoing research funding opportunity funded by the MRC. You are welcome to submit an outline application at any time, however there will be three cut-off dates each year. If you would like them to alert you by email about future funding opportunities please click here. The Prime Minister has announced plans to tackle what he is calling a ‘national crisis’ posed by dementia, including a doubling of research funding into dementia to £66 million per annum by 2015. As part of the funding being made available, the ESRC and National Institute for Health Research (NIHR) will be working together to support an initiative with up to £13 million funding available for social science research on dementia. 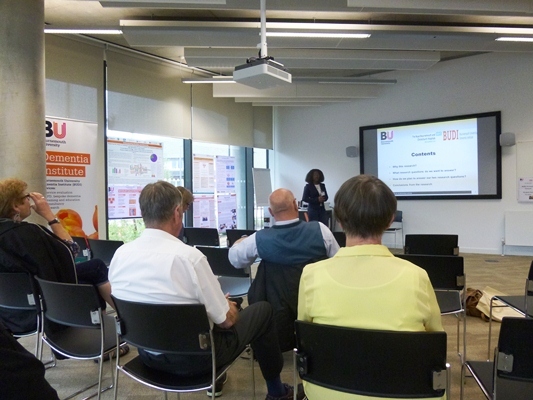 The National Institute for Health Research (NIHR) in partnership with the Chief Scientific Officer (CSO) for the Department of Health has now launched round 3 of the NIHR/CSO Healthcare Science Research Fellowship Competition. The scheme supports the development of healthcare science research capacity and capability building, by providing funding to undertake research for patient benefit. The Fellowships will support members of the NHS healthcare science workforce who already have some research experience and wish to bridge clinical or service careers and research. Fellowships must be undertaken with the support of the relevant NHS line-manager and an appropriate academic partner. The research proposed must be of direct relevance to the NHS with the potential to improve service or clinical outcome. Deadline information Deadline: emailed applications due 24 July; postal applications due 31 July 2012. NETSCC is funded by the National Institute for Health Research (NIHR) and was established at the University of Southampton in 2008. Commissioned call for proposals now open: Deadline for application is Thursday 9 February 2012 by 1pm. Evidence Synthesis, deadline is 2 April 2012 at 1pm. Researcher-led calls now open, deadline is 15 March 2012 by 1pm; 19 July 2012; and 15 November 2012. Commissioned-led, open date is February 2012, deadline is 17 May 2012 by 1pm.